This beautiful snail print would look gorgeous hanging in any nursery, the bright colour complements the black ink hand writing. 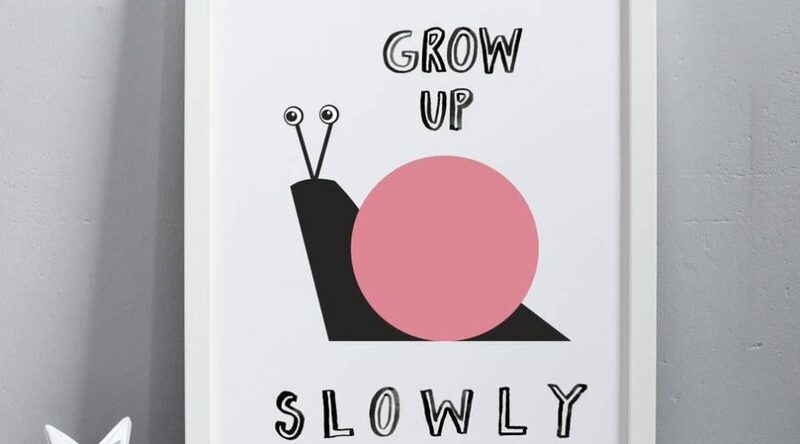 The print is available in yellow, pink or blue ink. 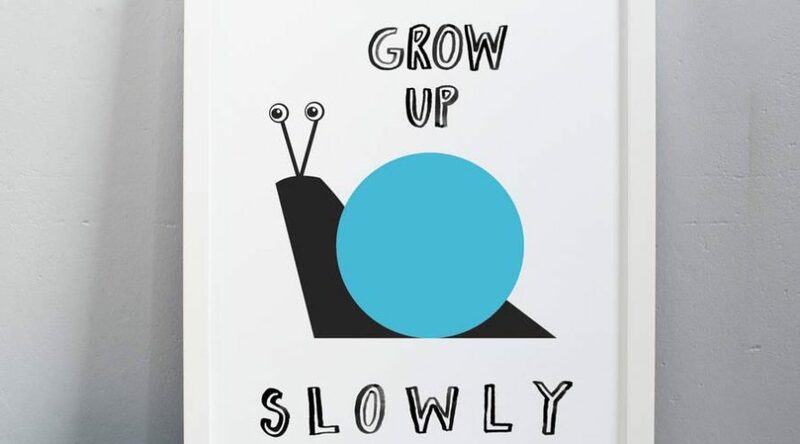 Remind your child to grow up slowly this is stunning art print! UK postage and packing is FREE. Please allow 2-3 working days for delivery in the UK. Some of our personalised products and box framed prints take a few days longer. If you need the order for a certain day please contact me to confirm. All our goods are shipped by Royal Mail First Class delivery. In the unlikely event that your purchase is not to your satisfaction, please contact us via email to discuss a refund/exchange. All returns must be made within 7 days of delivery. Items must be unused and in perfect condition to receive a full refund. Please note, we cannot refund the postage costs and the return postage responsibility lies with the customer. If your order is damaged or something is wrong, please contact us immediately and we are happy to help.